Congratulations Gretta, The Springs at Simpsonville’s February Resident of the Month! We were able to spend some time with Gretta to learn about her incredible story. Gretta was born September 18, 1931 in Grottoes, Virginia, a small town in the Shenandoah Valley. She had two sisters and two brothers. As a child, she enjoyed roller skating and playing with her friends. After graduating as the high school’s valedictorian, she worked for a short time as a dental assistant. Gretta moved to Fredericksburg, VA in her early 20s to work at a dry cleaner. She met her future husband, Andrew Skinner, when he came in to have his hat cleaned. The two got married on September 12, 1953, five months after their first date. With the birth of their first child, she became a stay-at-home mom and a terrific cook. Together, they raised four children, a son, and three daughters. In 1968, the family moved to Richmond, Virginia for Andrew’s job. Gretta stayed active in her kids’ schools. She and several other moms successfully convinced the Henrico County school board to allow girls to wear pants at school! She and Andrew enjoyed traveling to his company conventions to various locations in North America. Andrew was always quick to credit her for his success. Following another job promotion, they moved to Chester, VA in 1988. In 2007, they decided to move to SC to be close to Lori. In February 2017, they moved to The Springs together. Gretta considers her family her most significant achievement. She has 14 grandkids and nine great-grandkids with four more on the way in 2019! She likes to quote her grandmother whenever they are gathered together by saying, “Look what I started!” She’s known for her cooking and crafting skills. Many years ago, she put together a cookbook of family favorite recipes to give to all of her grandkids for Christmas! 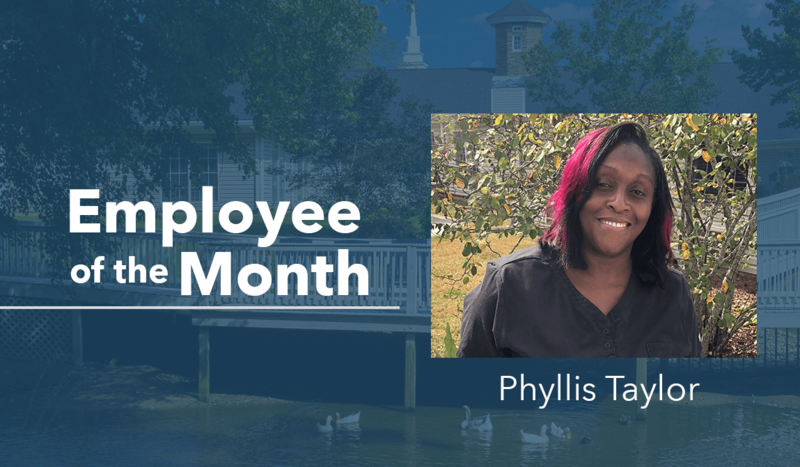 When her kids were growing up, she never allowed them to say “I can’t.” Everyone was expected to do their best at all times. She lived that way, as well. Following her stroke in 2007, she fought hard to become mobile. She did get herself back on her feet for a few years. She was back in the kitchen cooking and sewing and cross stitching because that is what makes her happy! 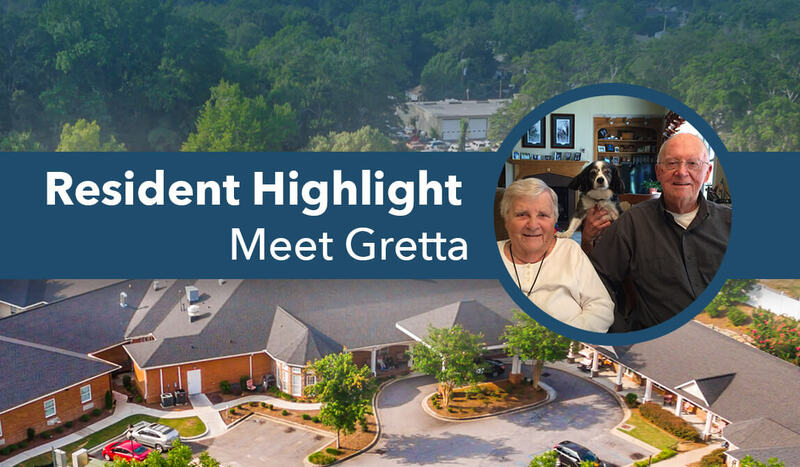 We want to thank Gretta for sharing her story with us and our residents. 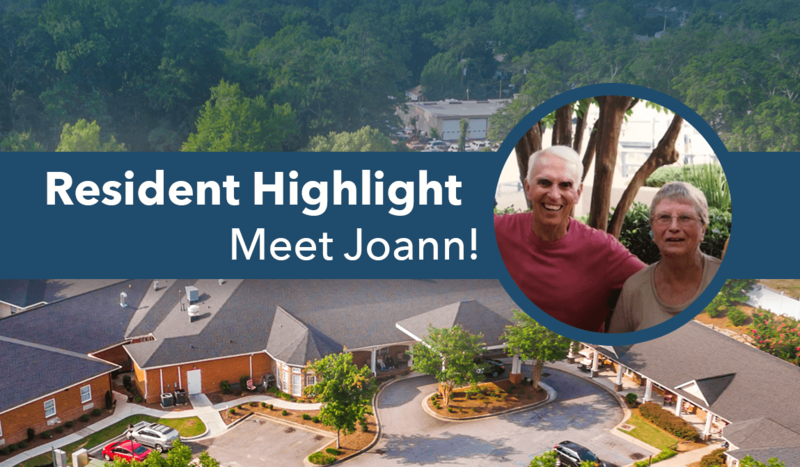 Please join us in congratulating her for being our Resident of the Month! Community Spotlight – Peggy Masterson! Connect with The Springs. We'll welcome you home. Join our newsletter for events and information. © 2008–2017 All rights reserved. The Springs at Simpsonville. Sitemap.